This is the latest model 1782. The 4500 has been replaced by the 2 Speed Vitamix model 1782. New upgrades of the Vitamix TurboBlend include a lower price point, upgraded and improved recipe book, and improved faceplate graphics. Sale Priced! Lower cost than the Vitamix 5200! The Vitamix TurboBlend is an upgraded version of the latest 4500 and it is a true asset for any cooking lover. This highly-advanced blender can be used for crushing ice, coffee beans and can be used to make peanut butter and a wide range of therapeutic spices quickly. The blender is absolutely easy to use and clean and consumes less time while making anything you want to serve your visitors. With its highly versatile forefront technology you can retain all the needed nutrients, enzymes and minerals and maintain a desired level of consistency. 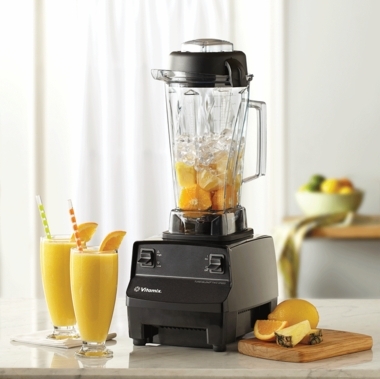 Use the 2 Speed Vitamix blender for blending drinks, juices, smoothies, milk shakes and much more as fast as possible. More than that, you can also chop, blend, churn and grind anything and can add freshness, taste and nutritional value to your meal. This robust quality blender comes with a powerful motor which gives it ability to perform quickly and conveniently. Designed to offer outstanding performance, the 2 Speed Vitamix blender is provided with a versatile Eastman Tritan BPA-free jar along with laser cut blades for sharp cutting and chopping of various food items. 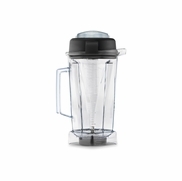 Its tight lid-locking system further ensures that food remain in the blender securely and not fall on the floor. The Vitamix TurboBlend is a very useful kitchen accessory that can make your work easier and smarter.